Background/Info: Jasyn Banger set up God Module in the late 90s. His debut album (cf. 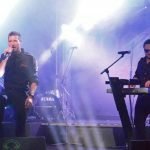 “Artificial”) became an instant success and the growing recognition of the band never stopped to increase. This double disc is a retrospective featuring 28 songs. It’s an original ‘best of’ revealing reworked songs, rare tracks, remixes and a cover version. Content: The sound of God Module has been always characterized by a fusion of EBM elements and dark-electronics. The songs have been recovered by heavenly strings while driven by the spooky vocals of Jasyn Banger. A few female backing vocals often add a more sensual touch to the work. God Module stands for danceable music and this retrospective only confirms the impressive list of great ‘dance’ track that have been composed. Remixes have been done by Siechtum, UnterArt and Xenograft. + + + : This is not just a best of’, there are several ‘reworked’ –or updated songs featured here as well. I really like the fact it’s a real retrospective, which goes back to songs from the first album and EP till cuts from the latest studio full length. God Module has something easy recognizable, which comes through in the icy, but heavenly leads, the ghost-like vocals and danceable vibes. It’s a band that you can directly recognize and that’s an element, which I think is the trademark of ‘great’ bands. 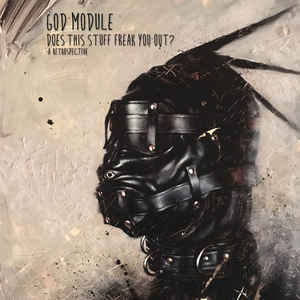 God Module always has mixed different elements together, which is probably why this band became that popular. This album is an opportunity to re-discover the brainchild of Jasyn Banger by some of his greatest tracks. – – – : When a band can chose a ‘best of’ among an impressive list of songs and productions you for sure will say ‘why didn’t he put that song’ so in the end and from a very personal point of view I would have liked to hear more early tracks. Conclusion: After years of involvement and great songs, it was probably high time to get a God Module ‘best of’! 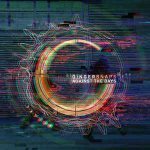 Best songs: “Orange And Black – Jasyn Vs. Michael Mix”, “Victims Among Friends – Rework”, “Telekinetic”, “Lucid”, “Let’s Go Dark – Unter Art Mix”, “Doppelganger”, “Red Ribbons”.